On Cryptocurrency, Will Warren Buffett Have the Last Laugh – Again? Is history about to repeat itself? Is Buffet right that cryptocurrencies are a “mirage”? To answer that question, we must first make a distinction between blockchain, the technology, and cryptocurrencies, the currencies created using the blockchain technology. It is vital to make this distinction for the same reason it was vital to make the distinction during the dot-com era between the internet – the technology – and the dot-com companies using this technology as their business model. Hundreds of companies with web-based ideas went and raised capital, and money was pouring their way. But then reality kicked in during March of 2001. Companies such as Pets.com and Webvan failed completely. Worse, companies such as WorldCom were revealed to be using fraudulent accounting methods. Only a select few companies, like Amazon, Ebay, and Qualcomm, managed to weather the storm. There is no doubt that the internet is an incredible technology without which we could not imagine our lives today. As with any new technology, many have tried and will continue to try to use it to create products, services, or assets which they believe have merit. It is the market and time, however, that will determine the validity and usefulness of these things. The internet as a technology has never been the problem. Rather, it was what people were trying to do with it that was in question. We all know today that not every idea based on the usage of the internet is worth pursing. Today, when someone comes up with an eCommerce idea, we are more skeptical. We don’t immediately assume the idea is worth a fortune. Back in the ’90s, however, the internet was new and exciting, and every dot-com idea seemed glorious. At the end of the day, it is the “old-fashioned” metrics of fundamental value and business model that make the difference between a Pets.com and an Amazon. Blockchain is a (relatively) new technology. Similar to the internet in the ’90s, many are trying to find ways to use this technology to create payment methods and currencies. Could it be that 20 years from now we will not be able to imagine our lives without blockchain? In my humble opinion, this is most likely so. Which cryptocurrency will be the Pets.com of the bunch and which will be the Amazon is yet to be determined. Will the vast majority of cryptocurrencies we know today become useless? Most likely. Some, however, will become prevalent payment/transaction methods. One of Warren Buffett’s investment rules we should all learn from is: Invest in what you know. Knowledge is key. Knowledge is powerful. As Buffett recently said about why he does not invest in cryptocurrencies: “I get into enough trouble with things I think I know something about. Why in the world should I take a long or short position in something I don’t know anything about?” This is a golden rule to all investments! Learn about a product, asset, or security before you invest in it. Otherwise, your investing would be no different from buying a lottery ticket or playing the slot machine in Las Vegas. This is not to say that you should not invest. On the contrary, you should. Bear in mind, though, that investing is not a gamble. You should not gamble your investments. You should do your homework, and then decide what the best action is for you. 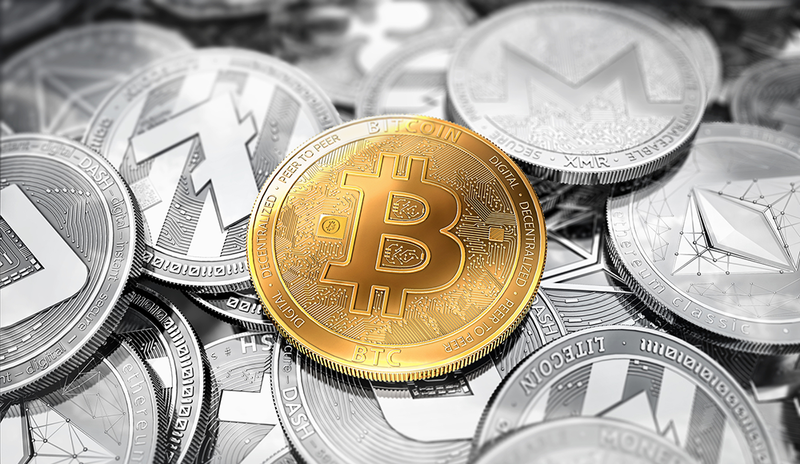 Cryptocurrencies can be a bit confusing, but you can still study up on them. That is my task – to educate you! In future articles, I hope you will come to gain the knowledge and mastery you need to make a wise, educated investment. Dr. Merav Ozair has more than 12 years of business and consulting experience and more than 15 years of teaching experience with both graduate students and financial professionals. Contact her at mr649@nyu.edu or @HoliSym. Dr. Merav Ozair has more than 12 years of business and consulting experience and more than 15 years of teaching experience working with both graduate students and financial professionals. She holds a PhD in Finance from the NYU Stern School of Business. For questions, comments, or clarification, contact her at mr649@nyu.edu or @HoliSym.